Heather Fishel is a freelance writer who has written many posts for WonderHowTo, including many of the posts in the Productivity section. She has also written several articles for WarHistoryOnline.com, as well as a number of pieces for the tea enthusiast’s site TeaPerspective.com. She lives in California and works as the college essays and applications director for Blue Train Tutoring. She is the author of Fidget!. "The perfect read for anyone who just can’t sit still. You can find new ways to fidget that will keep you engaged in your tasks and help you grow creatively. This was a fun book that you can definitely read in a lunch break and it could even help you get back into your work with a more productive edge. Fidget! will help you stay focused no matter how you fidget in your day to day life." "Very well written and informative … .If you are a born fidgeter like I am, I think you will find this book engaging and worth your time. So get some cinnamon-spiked coffee, and check out FIDGET!" "In Fidget! Fishel encourages readers to move—to move our bodies, to daydream, to doodle—because this can actually help us become more productive, more creative and more engaged. Try the tips that resonate with you. Pay attention to what works best. And use your boundless creativity to come up with your own fidgeting strategies." 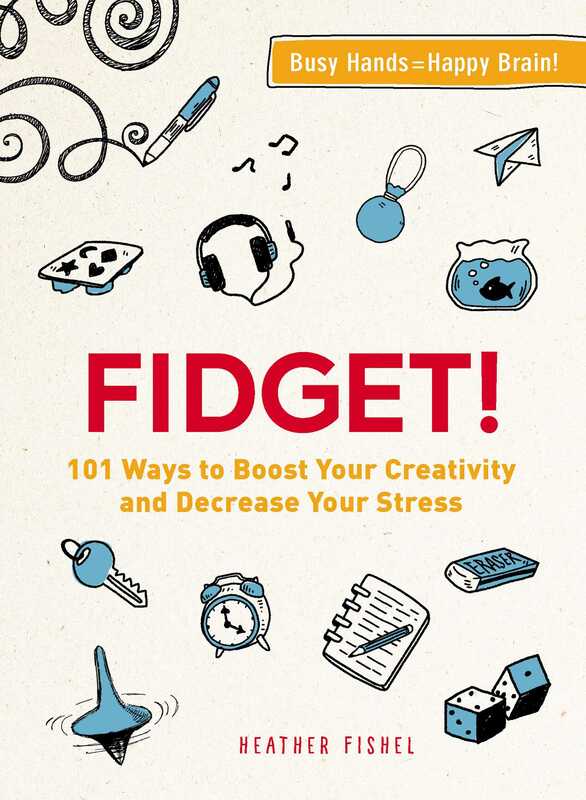 Book Cover Image (jpg): Fidget!